THE PICKIEST EATER IN THE WORLD: PUREFOODS CORNED BEEF: DELICIOUS FOOD MADE EASY! No joke, but Purefoods is our go-to breakfast food. 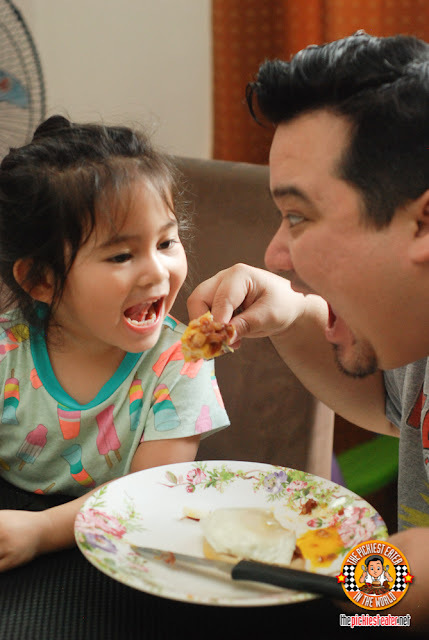 Whether it’s bacon or any of their canned goods, it’s always our ever dependable quick meal. Truthfully, it’s not even just breakfast. It’s our to go food when we don’t have time to prepare anything more tedious to cook. Or if we want to eat something and our stomachs are not willing to wait, but you’re looking for something fulfilling at the same time, opening up a can is the best solution. Though its canned, it’s very versatile, allowing you to get creative with the simplest of ingredients. It’s easy to play around with and turn it into spectacular-looking dishes in very easy steps. So easy that I did this one myself. Being a person who doesn’t cook, that’s saying something! 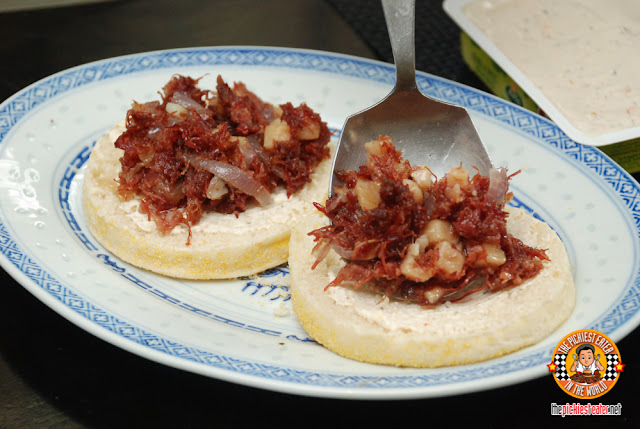 The other day I decided to make Corned Beef English Muffins for breakfast. And it’s easy as one two three. (Excuse the bed head). 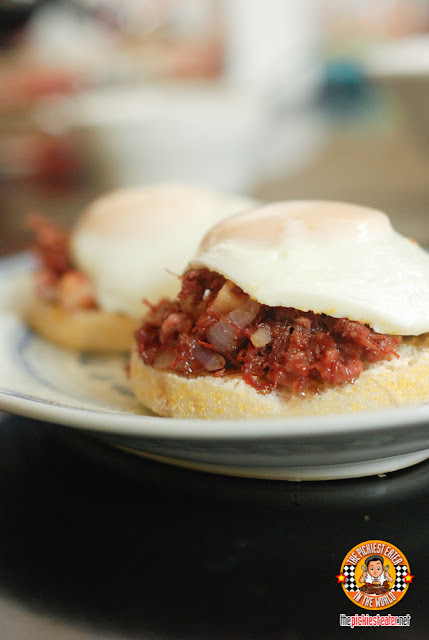 For this I used Purefoods Corned beef Hash. 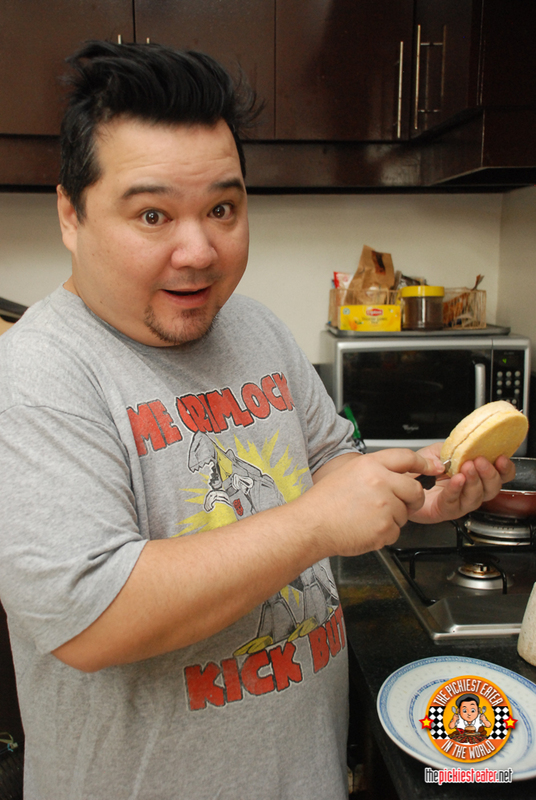 It’s already got diced potatoes mixed into it so you only have to worry about slicing your onions when you saute the corned beef. So I toasted some English Muffins, and spread a bit of herb cream cheese on to it, and then topped it with a hearty pile of Purefoods Corned Beef Hash. 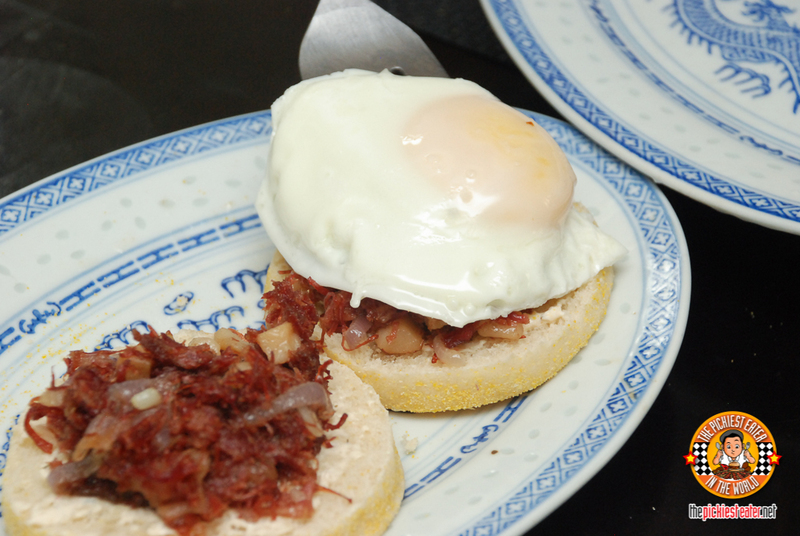 And of course, it’s breakfast, so I topped it off with sunny side up! The outcome? 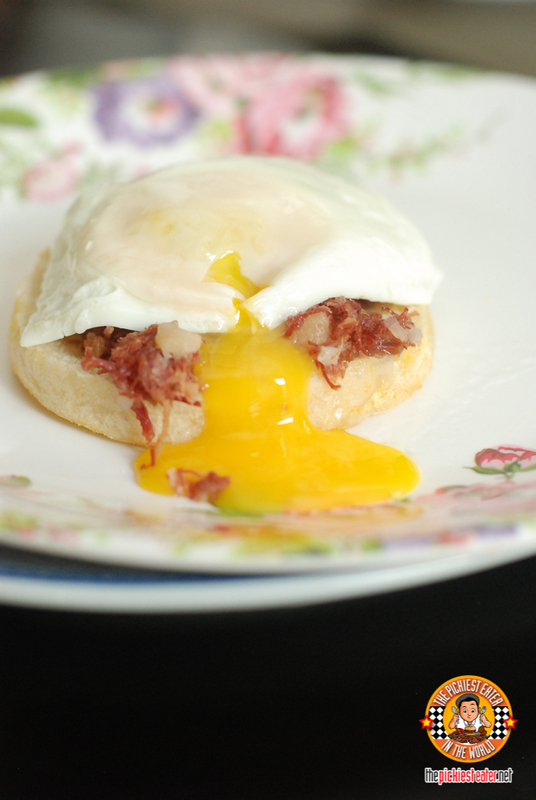 A simple but very filling breakfast that you can eat when you’re in a rush! My daughter who takes after me, also prefers bread over rice. And she loved my creation! If you’re like my wife who’s a big fan of rice. 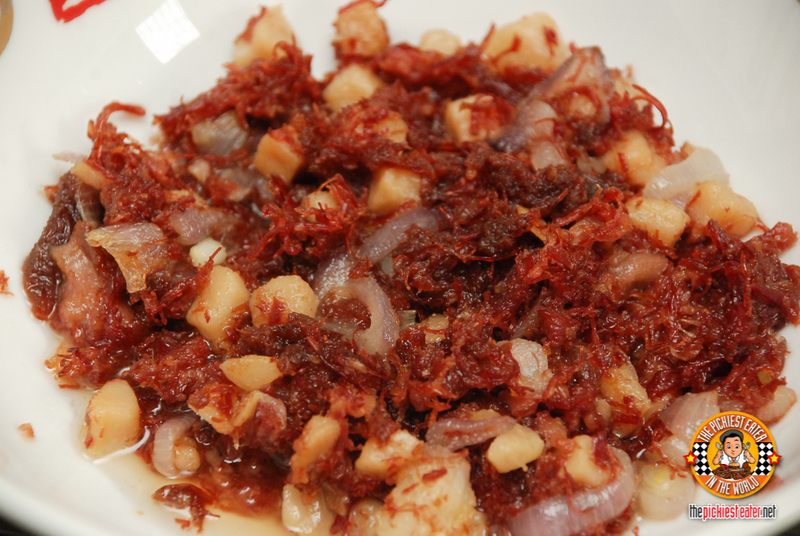 Here’s another simple recipe I did, this time using Purefoods Corned Beef Chili Garlic, which has been one of our favorites. The heat of it is just right. Not too spicy. It’s the kind that becomes addicting. After each bite, you just want to get more. It’s an “extra rice please” kind of food! 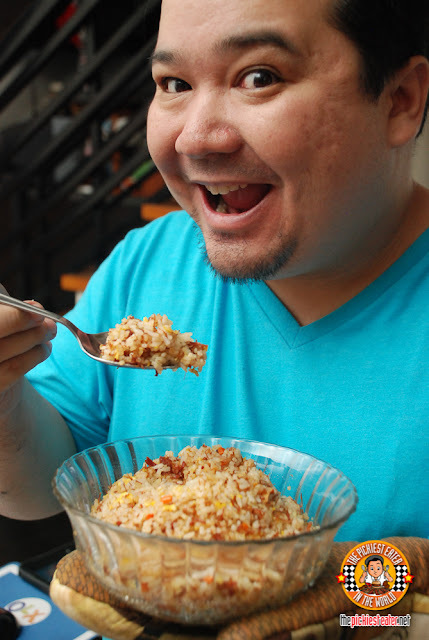 Anyway, back to the fried rice. 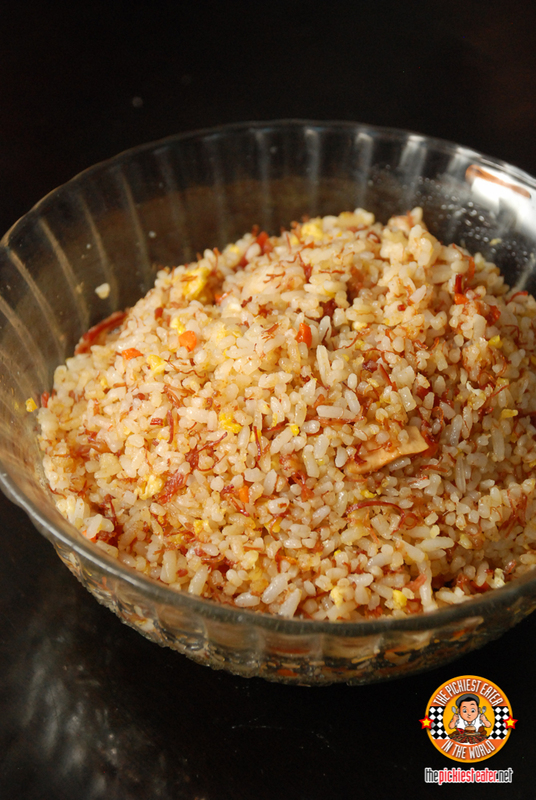 Basically we just made fried rice by mixing rice with egg, a bit of minced spring onions and carrots. If we still had corn kernels I also would have added it but we ran out. 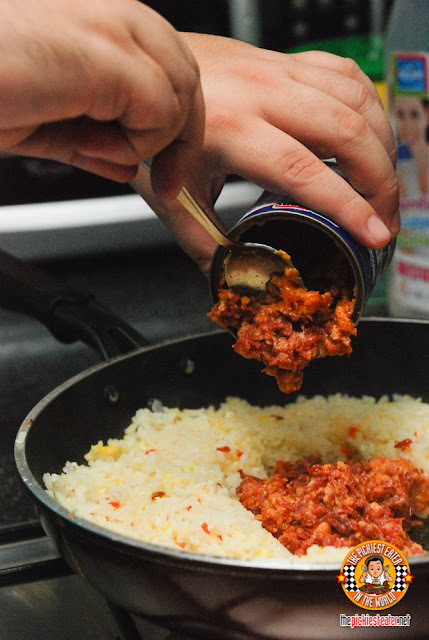 So after giving the rice a good mix, we dumped in the Chili Garlic Corned Beef into the center of the pan, allowing it to cook a bit more before mixing it into the rice again. Tadaaaa! That easy! Again, simple but very filling. 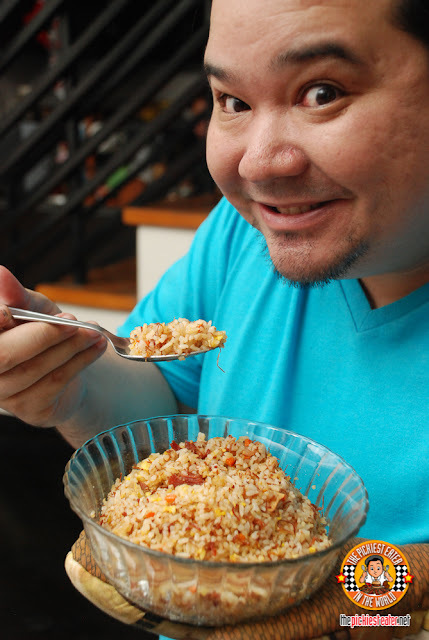 In one spoonful you already have your serving of carbs and meat! We love Purefoods Corned beef because its got a great meatiness that you can’t find in other brands within its price range. 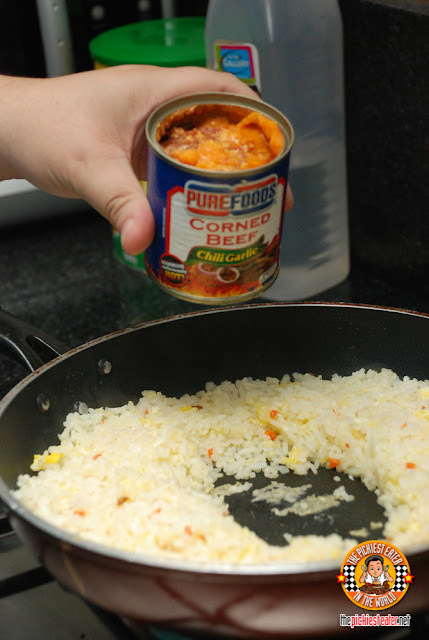 It’s always part of our grocery list, and should we ever need to prepare a survival bag for a zombie apocalypse, Purefoods would definitely make up the majority of the food pack. 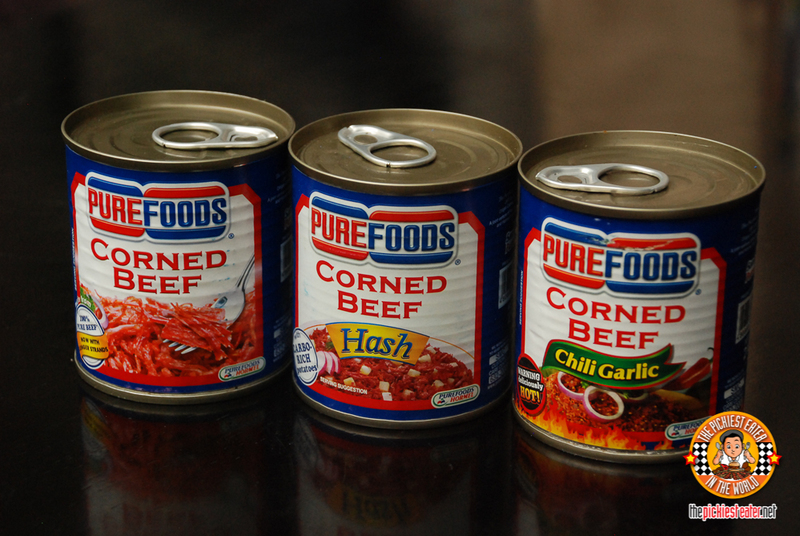 Thank you Purefoods for years of reliable food-in-a-can!! !